A little about our town, Dripping Springs, the Gateway to the Hill Country. Dripping Springs is known as the Gateway to the Hill Country, which encompasses more than 25 counties in Texas. Being Austin's westerly neighbor, has also earned us the slogan, "Just West of Weird." About a 20 minute drive from Austin, Dripping Springs is far enough to be a calmer pace, but close enough to pop into the city for an evening of live music and Austin culture. And here in Dripping, as we locals call it, we have a vibrant local community, with a farmer's market every Wednesday from 3-6p at the Triangle, a festive First Thursday celebration on historic Mercer Street, as well as eclectic shops, restaurants, ice cream and coffee shops, feed stores and a dance hall. Grab a fresh salad or a sandwich on homemade bread at Rolling in Thyme and Dough. Or try the prosciutto and apricot jam crepe with brie and arugula, followed by the Nutella Royale for dessert at Crepe Crazy. The Oak Creek Cafe serves up traditional Texas style omelettes and pancakes, under concert posters of Willie Nelson and George Jones. The ham and cheese quiche at Mazama Coffee Co. is one of our favorites, and the Pizza Cave or Pieous will satisfy your pizza cravings. 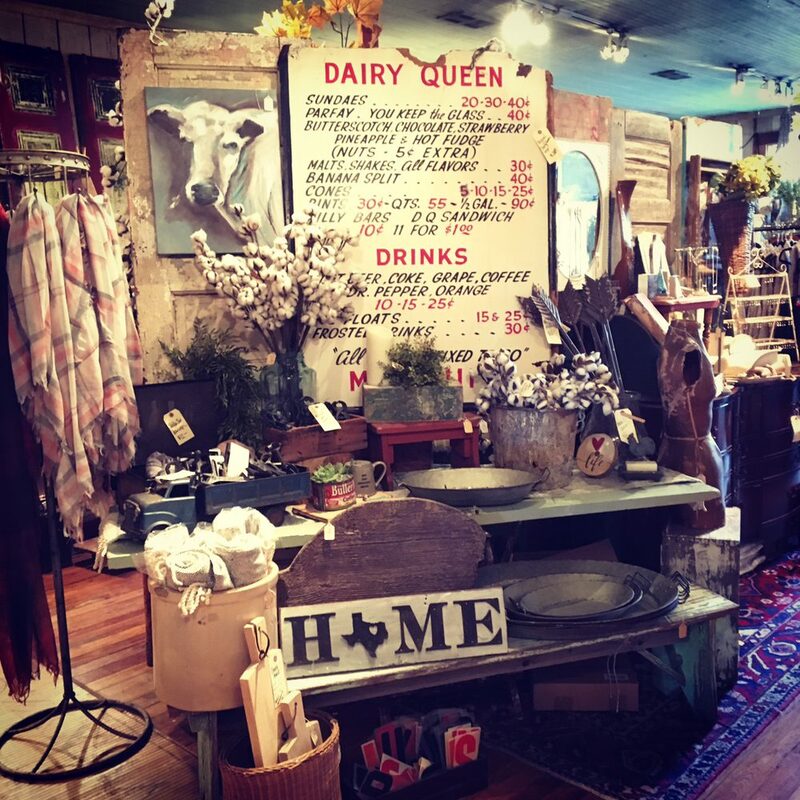 For a small town, Dripping Springs offers a vibrant array of specialty shops from vintage discoveries at Lone Star Gifts to couture and gifts at Starrs on Mercer and Goodie Two Shoes. There's an HEB grocery store, Martin's Wellness and Compounding Pharmacy, UPS, Goodwill, Home Depot, Tractor Supply just to get started. The Sated Sheep offers fine wool yarns and knitting instruction. And you can't find more luxurious fabrics and fashions for the home and the wardrobe at Le Ragge Ruggs and Cowgirls and Lace. Dripping Springs is the place to start your Hill Country wine tour! Grapes grown right here are blended into merlots, cabernets and chardonnays to tempt the palate. Most wineries have tasting rooms and lots of parking, and can get really busy on the weekends. The Texas Hill Country Olive Co. just up the road on Bell Springs hosts olive orchard tours, olive oil tastings as well as wine tastings and a delightful little cafe and gift store. Don't want to fight the crowds in Austin? Put on your dancing shoes and get your live-music fix at the Mercer Street Dance Hall right here in Dripping Springs! Just a little further down Rt. 290 is the Nutty Brown Cafe, with a line-up of names most will recognize at a venue small enough to actually see their faces. You can rock and roll (in an wooden rocking chair!) with a local troubadour accompanied by his guitar at the Farmer's Market on Wednesdays, while you nosh on local baked goods or sip Buddha's Brew Kombucha.